Digital marketing is fundamental to businesses’ success in today’s modern era of engagement marketing. Promoting brands, products, and services online and through mobile applications is quickly becoming table stakes. So as a marketer, you must get on board. But online advertising is just the tip of the iceberg. Marketers have to dig deep into today’s vast and intricate cross-channel world to discover the most impactful strategies required to build a thriving business. Search engine optimization, pay-per-click advertising, and conversion rate optimization techniques work in tandem to demystify consumer behaviors, capture customers’ attention, and turn people into loyal buyers over time. 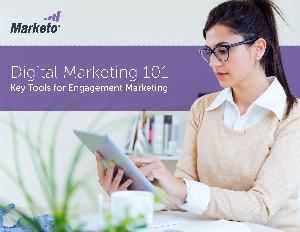 No digital marketing campaign should be without these critical activities.